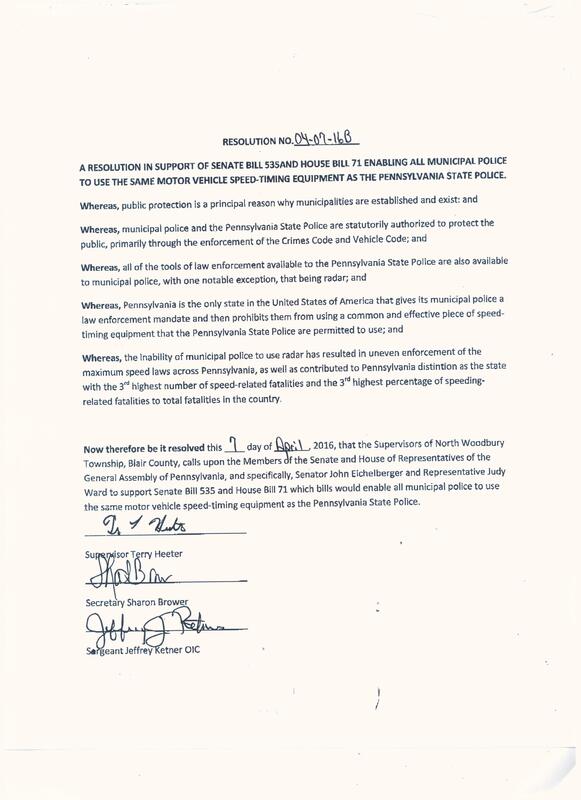 In a previous legislative session, 2013-2014, the Radar Coalition asked municipalities, who support their efforts to give municipal police the option of using radar, to adopt a resolution in favor of Senate Bill 1340 sponsored by Senator Randy Vulakovich and House Bill 1272 sponsored by Representative Harry Readshaw. Over 92 municipalities and municipal associations did so. In the 2015-2016 legislative session, the passage of legislation ending this indefensible prohibition was a matter of unfinished business. 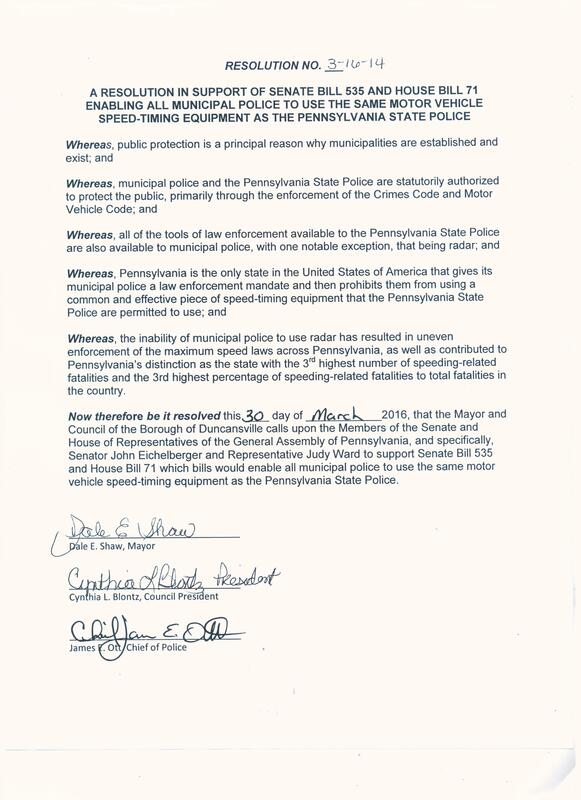 Once again, Senator Randy Vulakovich has introduced the Radar Coalition’s bill in the Senate along with 20 bi-partisan co-sponsors and Representative Harry Readshaw introduced the same bill in the House of Representatives along with 17 bipartisan co-sponsors. Those bills are Senate Bill 535 and House Bill 71 respectively. After a number of amendments, Senate Bill 535 passed the Senate but it died in the House of Representatives. In the 2017-2018 legislative session, Senator Vulakovich introduced the same bill which passed the Senate in the prior legislative session, along with 19 bi-partisan co-sponsors and Representative Harry Readshaw introduced the same bill in the House of Representatives along with 19 bi-partisan co-sponsors. Those bills were Senate Bill 251 and House Bill 43 respectively. 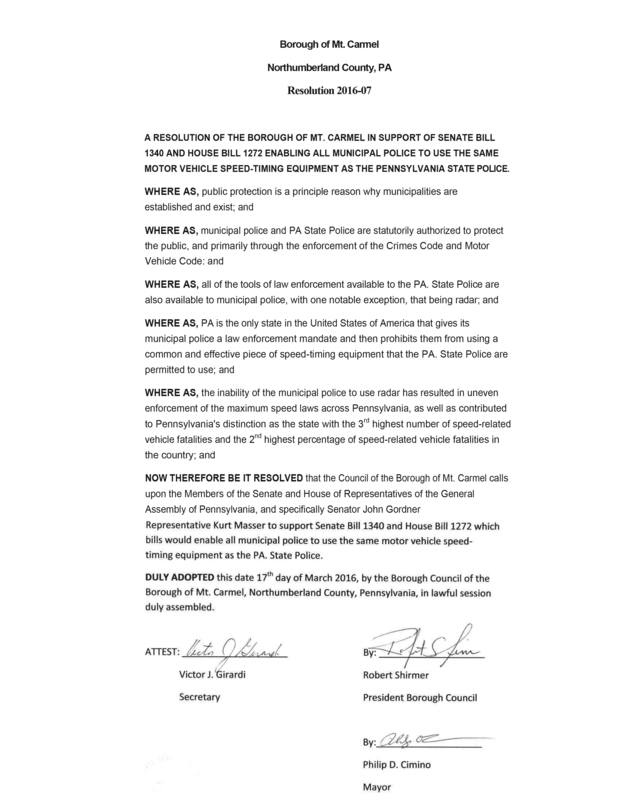 Once again, Senate Bill 251 passed the Senate and is awaiting consideration in the House Transportation Committee. 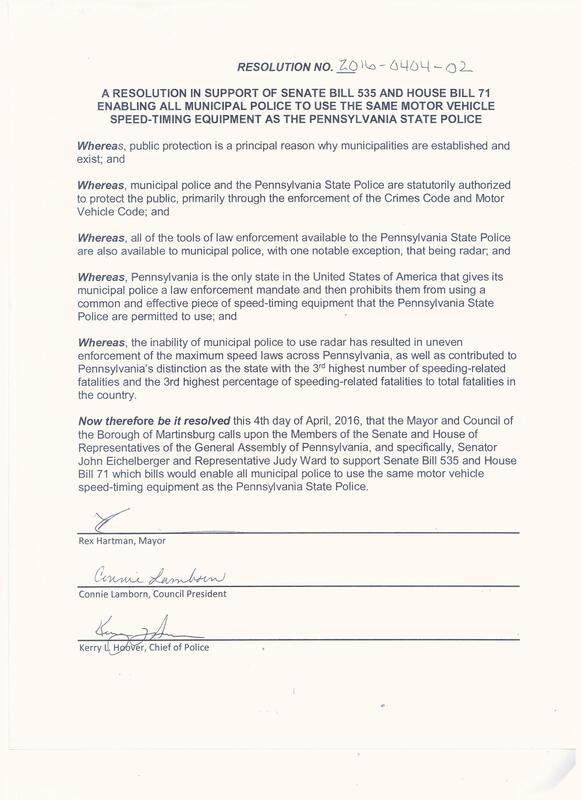 Any municipalities who are not listed below can show support for this legislation by adopting a resolution in favor of the current bills sponsored by Senator Vulakovich and Representative Readshaw. Click HERE to download a sample resolution. 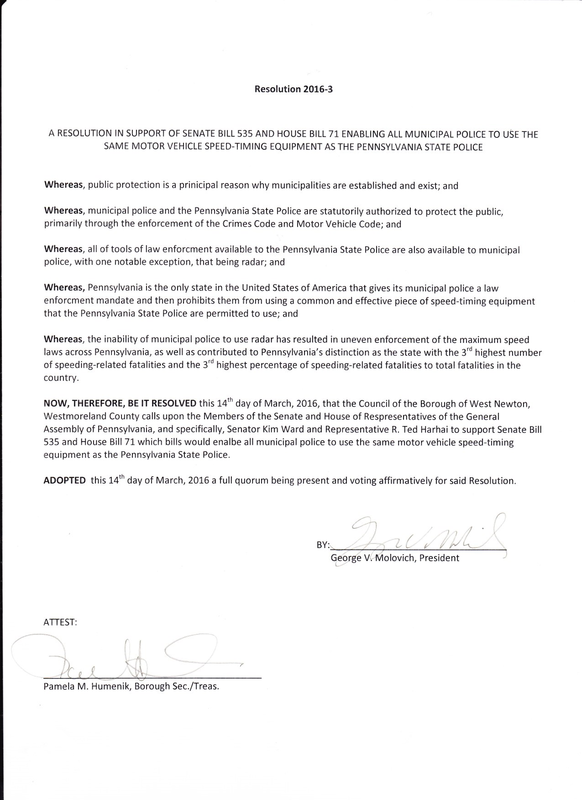 Those municipalities, who enact resolutions, are also encouraged to publicize their support through a news release. Click HERE to download a sample news release.